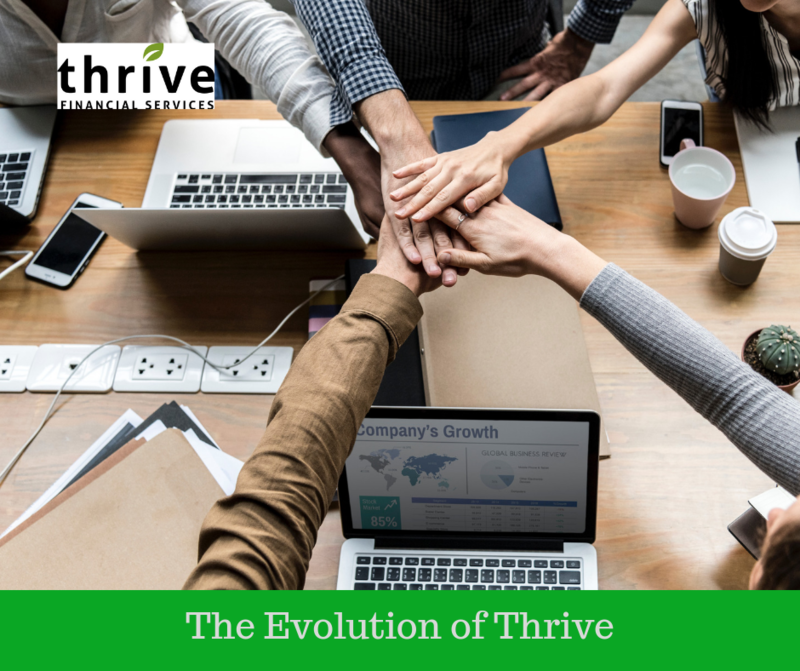 David, Karen, and Bret discuss the progress within Thrive Financial Services after 3 months of 2019, as well as Tax Day approaching on April 15th. Tax Day, of course, is a day that gives a lot of people angst when they hear April 15th, but all is calm at Thrive Financial Services. I don’t say that, David, with any sort of arrogance in my voice. I think the point in the story is when there’s a plan, there’s no need to be alarmed about Tax Day. Yeah. Good morning, Joe. I’m happy to see you, and excited to be back in the studio. Yeah. I think that’s a great statement you just made. It’s when you’ve got a plan and you execute that plan, there’s no need for panic. Right? A little bit at a time, and that’s what we help people do, as one of our areas of specialty is making sure people navigate retirement successfully through tax management. Normally, for a lot of people this time of year, obviously accountants are running around like chickens with their heads cut off. Folks that we serve have executed their plan, they’re on track. We’ve done all the things necessary to make sure it’s going to be a good year from a tax perspective. If you’re new, and you’ve just recently joined, or if you’re part of the Thrive Army, congratulations for being there, and thank you so much for continuing to tune in. If you’re new to the program this morning, and you’re listening for the very first time, we welcome everybody in, and we encourage you to sit back and relax and consume some of the information. Bret, we’re going to talk about social security today. That’s the topic of conversation. There are layers and layers and layers and layers of conversation that fall under that big headline, but we’ll cover some of them today. Yeah. We’ve been talking heavily about taxes over the past couple weeks. Again, the other workshop that we conduct on a regular basis as well is all about social security. Just want to talk a little bit about the ins and outs of social security, and just scenarios that we’ve seen over the past couple weeks here. It may apply to some of our listeners out there. We just want people to be aware of just some of the nuances and the ways that social security can work in your favor. Karen, when you do a subject, or you cover subject matter that deals with couples, or that deals specifically with women, that material stays in case any of our audience misses out on any of the details. What are you covering today? Good to know. I’m going to be talking about preparing yourself mentally for retirement. The psychological ramifications of actually retiring. We help people prepare for retirement financially, but you also sometimes need to prepare mentally. What does it mean and what’s your life going to be? All of that fun stuff. I love psychology. I can emphatically say that we will not cover all of that today. There is a lot to it. Good stuff. Look forward to that. Remember to get in touch. David, I’ll come back to you and start with you for an opening statement for the audience. Roadmap to Retirement the Radio Show continues to take our listening audience in many different directions. You yourself, in Florida last week. A lot of us think about that, because perhaps Florida is a state where we would like to retire, or it’s on our radar. Good to be prepared, or good to think about that mentally, as Karen said. Then have the plan to be able to do it. Well it definitely helped mentally. Yeah. Right. No doubt about that, right? Listen, if anybody out there is looking to retire in Florida, we do have an office in Florida. Yeah. We spent some time with our youngest daughter. We did the college tours earlier this week, down in Florida. We visited southeast Florida, which was fantastic. Towns in Boca and Delray and all of that. It’s great to see that, because it gives you some insight to what’s happening economically out there. The restaurants were full, and people are shopping and things of that sort. I’m always got my eyes open to try to see what’s going on. Because there’s this old Chinese saying, “May you live in interesting times”. We certainly are living in very interesting economic times. A lot of news has come out over this previous week, and we’re starting to see now what we’ve been talking on the air here. Kind of getting people prepared, that while you’re in retirement, and understanding this concept called the sequence of returns, that market corrections can have significant impact on your success rate for retirement. Like the Fed came out and even though we constantly have been hearing from the media and from Wall Street, and the CNBC’s and the Bloomberg’s of the world that the economy is doing absolutely spectacular. We now see that the fed has kind of backed off their stance that there was going to be some significant increases over ’19, and then maybe one into ’20. Now backed off to the point that there probably will be no increases at all through ’19. That gives us some indication that there is trouble brewing out there. For the people that we serve daily in our practice, these are things that we’ve been talking about. How to get prepared, because this is not something that you want to get blindsided by. You want to make sure that your principle is as best intact as possible. Through one of the reports that we run for people who come visit us through one of our workshops, and then ultimately take us up on that complementary consultation, the Thrive Retirement Roadmap Review, we run a stress analysis. Taking into consideration market conditions, health conditions, passing of a spouse, when best to take social security. I would really, we’ll spend a lot of time on today’s show between social security, the psychology of retirement, and a little bit of what’s happening from a market perspective. I think that’ll be some value for folks today. We’re looking forward to it. There are so many articles that continually flood our lives, that you mentioned in your thought there about education. I saw an article recently posted that said by funding our children’s education we’re hurting our retirement. I didn’t get a chance to read into the article. I saved it to my desktop so I can get back to it. It’s articles like that, that point out some of these potential realities. It’s a really big expense. It’s not just tuition, I mean, it’s all the things that go along with it, and cost of living is accelerating. Roadmap to Retirement the Radio Show, remember you can go to thrivefinancialservices.com, and you can catch any one of the radio shows from today or past. Bret, I’m sure part of the conversation, much of the conversation, and then some of the Q&A at the workshop certainly deals with our topic today, social security. Yeah. Again, while we do a workshop completely dedicated towards social security as part of our taxes and retirement workshop, we really highlight how your social security income is going to be taxed like no other income you’re ever going to receive. During the workshops, David always talks about 567 different ways that we talk about how we can take social security, but not only is social security taxed differently than all our other buckets that we’re going to be able to receive in retirement, but there’s also some nuances. We believe that everyone achieves more through teamwork! 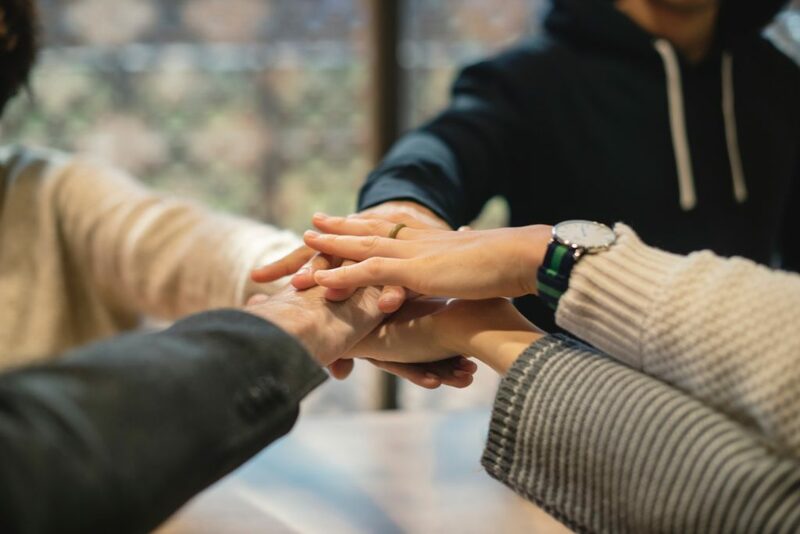 The very first step as part of the Thrive Retirement Roadmap Review, which again is a complimentary session that we offer as people come through the workshops, our radio listeners, or people that get introduced to us here at Thrive. The very first step is we go through something that’s called a social security maximization report. For our listeners that may have gone through that exercise previously, we want to understand that the rules have changed. A: They changed back in November of 2015. B: is that if you’ve gone through that exercise previously, what I would share with you, along with my partners here, is that there are so many different software’s that are out there of telling you what to do when. What’s crazy Krause, so you would think if people had the same life expectancy, the same benefits at retirement, and we understand what their work history is, you would think that each software that is out there is telling people to do exactly the same thing. What I’m here to share with you is unfortunately it’s not true, because it’s all about the coding. It’s not me, but the computer science that’s going on between it is just for us analyzing. It’s something that we take pride in, is trying to deliver and give people the best experience when they come into our office and meet with one of our advisors to go through that Thrive Retirement Roadmap. Again, we’re not necessarily trying to solve world peace. We try to get as accurate as possible with the information that we get from people. Again, we’ve done a great job on this show talking about how conventional wisdom tells us it’s either 62 or age 70, or whatever our full retirement age is, which is typically age 66, of when we’re going to collect social security. Again, part of what our jobs are is to make sure that people are always making rational decisions, not emotional decisions. We tell some good jokes during our workshops and stuff like that as well. For instance, we can start collecting our social security benefits as early as age 62. In fact, we’ve seen it recently where we’ve actually had some scenarios where again, the very first step of part of that Thrive Retirement Roadmap Review is talking about social security maximization. Where it says, “Based on the information you’ve given us today, we recommend you start your benefit today, and you’re going to collect a zero benefit.” I’ll go through that again. For anyone who think they may have misheard me. We want you to start your benefit today, but you’re not going to collect anything. It sounds crazy. Let’s talk about that a little bit. We talk about work history. If you are working and attempting to collect social security at the same time, if you’re under the full retirement age, let’s say you’re 62, 63, 64, 65, not yet in the calendar year in which you’re going to hit your full retirement age, which for today’s purpose let’s assume it’s 66. If you’re working, and you earn greater than $17,640. If you work, and you earn greater than $17,640, for every two dollars that you earn greater than that, they take a benefit dollar away. Until you’ve gotten to the point where they will withhold 100% of the benefits, until you get to that threshold of maybe you’ll be able to collect something that year. Now again, for those that are regular listeners, you may remember, but I’m going to share it with you. If you can wait until the calendar year in which you hit your full retirement age, that number moves from almost $18,000 to now almost $48,000. If we wait until the calendar year in which we turn our full retirement age. Let’s say I’m 65, I’m turning 66 in September, I can earn up to $48,000. It’s actually $47,940. I can earn up to $47,940. If I earn more than that, for every three dollars I earn they take a benefit dollar away. Is that in the year, or is that the following year? It’s the calendar year in which you turn your full retirement age. Because, once you achieve full retirement age, you can make as much as you want, and collect at the same time with no penalty whatsoever. Kind of putting that into play, and I’m going to go through a quick story and talk about where this may come into play. Let’s say I turn 62, my neighbor down the street’s been pumping into my mind that the government’s going broke and if I don’t collect my money today … You’re looking at me like, do you know this neighbor Krause? It’s not only the neighbor. It’s at every water cooler. It’s misinformation. That’s exactly it right there. I always ask people, who has that neighbor? People put their hands up. Then for those who don’t put their hands up, I ask them if they’re that neighbor. Yeah. Right. That’s the truth. Yeah, a little bit better. Let me go through a quick scenario. Will you receive higher monthly benefits later if benefits are withheld because of work? This is exactly what I just described here. Let’s go through this, and this is straight from the Social Security Administration. The answer is, absolutely yes. It says, “If some of your retirement benefits are withheld because of your earnings, your monthly benefit will increase starting ...” Here we go, “At your full retirement age.” For today’s purposes, age 62. It’ll increase taking into account all those months of where we had benefits withheld. As an example, let’s say that we’re going to claim our benefit at age 62, and it’s $942 a month. Let’s say that we’re continuing to work, where let’s say for example we retired at 63, so all of our benefits that we had withheld for that first year, we don’t see them at all. Then we start collecting our benefit, because we retired at age 63, we’ll collect our normal benefit at 63, 64, 65, all the way up till 66. What would happen, because we had one full year’s worth of benefits withheld during age 62 to 63, what would happen at my full retirement age is those benefits would creep up to a little over $1000, for that one year’s worth of benefits. Because what they do is they recalculate your benefits starting at your full retirement age, and then just like with social security, then the re-amortize it based on your life expectancy. When people say, “Oh I work and they’re taking my benefit away.” They’re taking it away to give to you later. They are not taking it away for you never to receive again. Again, if I’m working and collecting at the same time, all benefits that are withheld, you don’t lose them, you just get them back once you achieve full retirement age. For example, let’s say I start a claim at age 62. Lost my job, next thing I know I’ve found a new job. Let’s just say I left my social security as is, so I worked that whole time period between 62 and 66. I had four years’ worth of a benefit, $942, withheld, didn’t receive a darn thing. What that would mean at your full retirement age, your $942 would move up to $1300. Everything they withheld, once you hit full retirement age they give it back to you. That becomes a big deal, because people say, “Ah, I’m not sure if I’m going to do it or I’m not.” Well okay. It’s okay that sometimes we may say, “Let’s go start your benefits today, because there’s so much uncertainty of where we’re at.” “Well I don’t want to start it, because if I start it, I can’t stop it.” Which is untrue, you can start and stop at any point in time. It doesn’t necessarily make sense, but sometimes you just keep it on, because maybe the job market is rough, and I can’t find that right job. So many people that are nearing retirement and they lose their job, feel like they were paid too much. They can’t go find that job, they’re fearful that they may have to go do something at a retail shop, making a quarter of the money they may have been doing before. Whatever that case may be. There may be benefits to keep it on, because after we’ve surpassed those numbers, we can still receive some benefits. That’s a big deal. Realize, if I work and collect benefits that I’m having withheld, I get them back. It’s not use it or lose it. I get them back at my full retirement age. 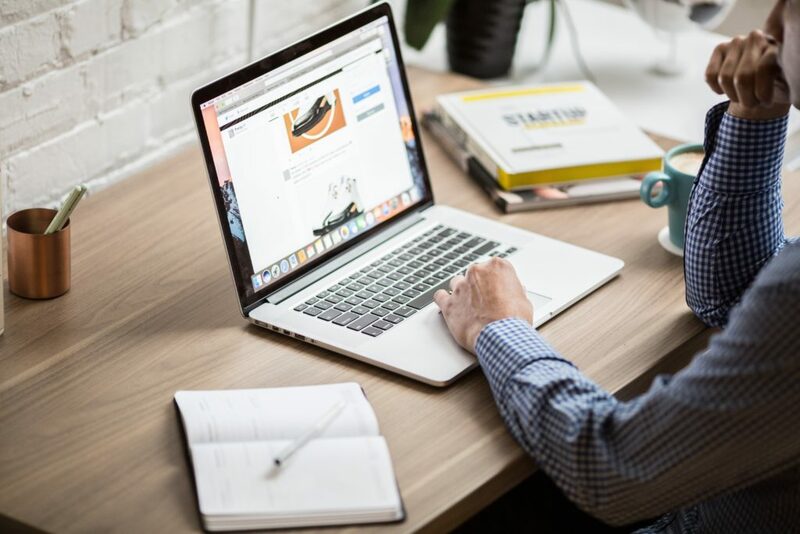 The other nuance, and these are all items that when people come in, again, we love the software that we use as part of this Thrive Retirement Roadmap Review, when we talk about that social security maximization report. Again, this is the very first step of the Thrive Retirement Roadmap Review, this complimentary social security report. While so many times we may tell people to turn it on, that you won’t collect anything right now, but it may be month four, month five that you will start receiving those benefits. The other thing that we see often as well, and we met someone last week where he was 68 years old. The report recommended, it said, “We want you to go ahead and file your benefits at 67, in six months.” He’s like, “That’s impossible. I’m sitting here today and I’m 68. How are you trying to tell me to go back into the past?” We’re like, you’re right, so let’s go through why. When you file for your social security, let’s just say today’s amount is, I’m going to try and use a round number, say $2500 today is how much I would collect. I’m going to want you to go back six months, so we’re going to lose six months’ worth of growth, which is approximately 4%. Instead of getting $2500, I’m going to get $2400 a month for the rest of my life, but they’re going to give me six months’ worth of payments of that $2400 in one shot. We meet a lot of people that may want to get some money into their savings account. Maybe they have some debt they’ve been trying to get rid of. We talk about putting a down payment on a car, maybe redoing a roof. Whatever that case may be. It’s a way to infuse capital into your portfolio, into that cash bucket during those years. Again, that is able to happen once you hit your full retirement age, you can back benefits up as much as six months. Again, all these things that we’re speaking about, these are all things that we talk about during that Thrive Retirement Roadmap Review. Again, you can always reach us at 1-800-516-5861. You can always visit us at our website. Bret, great stuff, and a great example proving of course that my neighbor and your neighbor is completely different when it comes to social security maximization. We turn now to Karen Bezar, who is back and fresh from Florida as well. She joins us with something I don’t think we’ve ever talked about on Roadmap to Retirement the Radio Show, and that is mental preparation. Which, I think probably is the first item, or the first line on the pyramid that you have to be ready for. Right. I agree. Now first off, I’m not a psychologist. I’m not offering any type of therapy here. Okay. That’s a disclosure or a disclaimer. Okay. We’ll take it. You’re good at it though. Depends who you’re talking to. I don’t know if you remember last show, I did ask Dave when we retire, since we work together, does that mean once we retire we separate? Did you really give a clear answer, or were you joking, or do you really think that you’re going to kind of go down to Florida and just like supervise what’s going on down there? Yeah, and we have been married for over 30 years, so I guess whatever we’re doing is working, so we’ll keep it that way. It’s a good answer. One question that when people come into our office and I see on the information, they prepare a sheet for us, and it says if they’re retired or if they’re still working. A question I ask if they are already retired, is how are you enjoying it? Are you enjoying retirement? I get so many different answers. I kind of was looking into it, and I was reading an article, and I’m going to read a little bit of the article. It says, when Nancy, who was a professor of counseling and psychology at a university, retired at age 67, she thought it would be smooth sailing. But, it wasn’t. She said, “It took me awhile to figure out who I was. It was a difficult transition. At first literally couldn’t say the words, ‘I’m retired.’ Over the next few years she interviewed more than 150 retirees. Obviously, she found something to do in retirement, “And conducted several focus groups with retirees, and she realized that many people prepare a financial portfolio for retirement, but they hadn’t taken stock of their psychological portfolios.” Which I kind of found interesting. People retire for many reasons, health reasons. We’ve had people who have come in here who retired because all of a sudden, their company says, “You’re no longer needed.” Which is very drastic for them. I get all kinds of answers. Some people say they love it. Some people say that when they first were retired, they weren’t prepared for it because they lost their job immediately, and they were so out of sorts that they didn’t know which way to turn. I hear that a lot Karen, by the way, just in this circle of life. You talk about trying to absorb details about what’s happening in life, and this bracket of 55 or 56, and I’ve been in a career for a long time, and all of a sudden I find myself out of a job. Right, so that’s what the article says. It says, “You have to prepare yourself mentally for retirement.” They recommend taking a good hard look at three areas of your life. One of them is your identity, because when you ask people, “What do you do?” That’s kind of the second cocktail party talk, right? What do you do for a living? People really identify themselves with what they do in life. She says that you should really take a look at your identity. It’s who you are to yourself and the world. She says you can think of it kind of as like what you put on a business card. What am I? Who am I? That’s one area where people were struggling with. I think it’s an exciting time also, to look at retirement as exciting time. Then another area is, what’s your purpose or what’s your mission? Perhaps now that you’re going to retire, or you know retirement’s coming down the road, start thinking about things, the article says and the psychologist says here, start thinking about things that you maybe wanted to do in your prior lifetime but weren’t able to do. Maybe you wanted to be a teacher, so maybe you can go help out. We met with a couple and she worked in the school system, but since she retired she says she now she volunteers at the school system. She says she is so busy now, because they need help, but they just don’t have to pay her for it. She says she is busier now than she ever was. Another problem that people have once they go into retirement is you had work relationships. You were friends with everybody at work, so they say start focusing on your relationships. Are you friends with everybody at work? You need to maybe expand your horizons a little bit. Or not. I was just going to say. Depends what kind of person you are, right? Yeah. If you don’t want friends, then you’re good. That’s what islands are for. You’re laughing, but Dave’s serious. No. If he’s not, I am. Yeah, but all under the question of, Karen, are you enjoying it? A lot of universities and colleges offer free, go sit down and sit through a class. For senior citizens, that’s something that they offer. I always say myself personally, when we were looking at colleges my daughter asked something about school. She said, “If you could go back to college, what classes would you take or what would you study?” I said, “You know, you’re so busy when you’re in school and when you’re working just focusing on the end result, that I really wasn’t sitting there enjoying it and learning.” That’s something that I think would be something that I would do. You probably wouldn’t do. Not a chance. Is actually go sit through an art history class, or classes that you weren’t able to take. I would definitely want to take, no offense, a philosophy class. That was confusing to me. I think that’s kind of interesting. Take a look at life in general, and have goals and focus on retirement. Another area is we ask people, and I said this in the last show, we say, “When would you like to retire?” I think that’s part of the problem, is they think, if I retire, is this it? Then I have couples and the wives say, “He’s never retiring because there’s no way that we can, he’s going to be with me 24/7, and this is absolutely not going to work.” It’s all something to focus on and enjoy really. Right. If you want to enjoy it, you have to plan. Where you are, you’ve got to plan, and then how you answer that question of enjoying it I think is one that we face a lot. I think all of our listeners out there who are listening to the program right now may not have the right answer, or may not know how to answer that question, or may answer incorrectly, if you can believe that. That’s not being disrespectful to the answer, that’s just the truth. Right, and I like to say, and I’ve said this before. My daughter, who helps out here at the office and works, she says, “Everybody’s so happy that comes in here, our clients.” I said, “Yes, because they planned for retirement, and they are enjoying retirement.” They’re riding motorcycles. They’re traveling. They’re spending time with their grandchildren. Whatever it is. Go to our website. We might not be able to help you psychologically, but we can certainly help you plan so that you have a comfortable and happy retirement. Man, I would beg to differ. I would say that once you feel more comfortable about knowing what your plan should be, I have a feeling that you’ll be able to start to enjoy some of those things that perhaps weren’t as obvious as they should have been. Well done Karen. Thank you so much. With that David, I toss it over to you. You’re saying that so cautiously. Yeah, is he saying you’re different? What is he saying? I said, “No, no. We’ve looked at everything. We’ve looked at social security. We looked at the diversification of your assets. We’ve looked at taxation. We looked at a stress analysis.” These are the things that we offer on a complimentary basis with our Thrive Retirement Roadmap Review. We’ve sliced it and diced it every which way possible. We’ve added in for calamity, market corrections, healthcare crisis, passing of a spouse. All those things that possibly could occur at some point in the future, and our analysis, with all confidence, says you can retire three years earlier. I could see the struggle was this leap of, well I make a paycheck, and a portion of my paycheck gets contributed to my 401(k), and someday I’ll be able to take money out of my 401(k). Traditional wisdom is age 70 and a half. He happened to be 67. That money’s available today if you retire. It’s just a hard, I don’t know if I’m articulating it well enough, but it’s a really hard transition for people. I had another single woman who came in. Sizable assets. Has been in retirement for a couple of years, and tells me she’s still saving money. Now I think that’s a good problem, but she’s like, “I just feel uncomfortable that I can go do all these things. I’m afraid that I may run out of money.” That’s one of the two big questions that we get from people. That’s so spot on. I mean, I’m looking at you, and my mother-in-law’s in my mind right now because that was her. Yeah. Two things I would say. One is, if it’s not important to leave money behind, to children, grandchildren. We have a lot of people, which I think is absolutely fine, that come in and say, “Look, they’ll probably get the house, but the assets that we have are ours.” At the same time they don’t consider spending them down. If you retire at 65, statistically you’re probably going to make it 85 to 90, so there’s a good 20 years there that you should be spending. I mean literally, I’m not advising this, but you could just take however much money it is, divide it by 240, and take that money and spend it every single month. Right? People are just so conditioned, and I think it’s one of the causes that kind of creates this hesitancy, this uncomfortableness, this mentally unprepared to go enjoy themselves in retirement. One of the things that we enjoy most is when people do come in for that complimentary consultation, we spend, if it’s appropriate, if it’s cleared, if it has been proven mathematically, we really start talking about that transition. How do we go from that accumulation phase to that “de-cumulation“, that spending phase? Help people through that transition. We see it as a huge hurdle. It’s really kind of interesting to watch. Now, there are other couples who have no problem with that, Joe, whatsoever. I got to be honest with you. Sometimes there is a tipping point where that mentality of spending too much, and not having enough assets, can really be a recipe for disaster as well. Getting one of these complimentary consultations has really got a lot of value, because what it can provide is certainty versus uncertainty. Yeah. Really good stuff. I mean, talk about stopping you in your tracks to think about it for a minute. I would ask the audience to do that. I mean, think about that for a moment. Think about your example David, because I think the answers that we internally, how we answer that question internally might pop a light bulb on for us, might lead us to the next question, perhaps to a workshop. It’s just incredible. Yeah, and the good thing about it is it gives you options. If you find out that you can retire early but you just love what you do, you can continue to work, but imagine the mental shift of working when you don’t have to work. How do you feel about Mondays when you love it, but there are days, you know, we get people who say, “I love my job, other than …” You know, sometimes the boss, or whatever it may be. Think about those days where you get hassled, you could literally financially just say, “That’s it. I’m done.” It gives a lot of confidence, a lot of comfort. Kind of a good position. Again, just spend an hour and a half with us and you kind of find that out through that analysis. That kind of brings me to a little bit more of the topic I wanted to talk to you, Joe, about. I got asked the question often, this week especially. It was kind of really interesting. Who’s your competition? What separates you? What makes Thrive different than every other financial firm? It doesn’t take very much for me to come up with a very simple answer, is that we specialize in what we do, and that makes us completely different. I don’t really think that we have competition. I think we have opposition. Because we don’t do what other financial advisory firms do, our focus is not just helping people pick what stock, or bond, or mutual fund, or ETF. Our goal is to help people take all those moving puzzle pieces of retirement, social security, taxation, portfolio risk management, legacy planning, long term healthcare, Medicare, all of these things that people tend to have questions, and when they typically show up to a financial advisor and ask those questions, the response they get is, “Why don’t you talk to your accountant about that? Why don’t you talk to a Medicare specialist? Why don’t you go down to the Social Security Administration office?” So on and so forth. What makes us different than our competition? Again, we have the answers to all of that. We made a decision, strategically, to know everything there is to know about navigating retirement and retirement income planning. We don’t work with young couples. We don’t help people get to retirement. We just make sure they stay in retirement. We make sure that their money lasts at least their lifetime, if not longer for legacy. They do it in such a way that they can sleep well at night. That to me is a big difference than what everybody else, and I’ve been in this industry 30 years. I was just going to say David, how long have you been in this industry? I said, “Doesn’t that deteriorate the relationship? I mean, every time that they’ve got to go beyond you, that just kind of diminishes the value that you can ultimately serve.” They kind of look at me with kind of a blank stare. It just reinforces for me and Karen and Bret here that because we’ve taken the time to get ourselves educated, we’ve gotten ourselves experienced, we’re this specialty boutique. I think it really sets us apart from what else is happening here in the Delaware Valley. For those of you who listen, like you said earlier Joe, you listen to this radio station, or any of the other radio stations out that have financial advisors, they tend to just really, they’re recorded, they’re infomercials. It’s kind of like, it just doesn’t resonate really well. I’m very proud of our team because the feedback that we get at our workshop is, “I heard you guys on the radio. That was a captivating hour of mine. I really, I took notes.” Can you imagine that? Somebody sitting there, reading the newspaper, having a cup of coffee, listening to us, and they’re sitting there jotting down notes about things that we’re talking on the radio. I can tell you, that’s very, very gratifying for us. Hear, hear. Well done and well said. The absolute truth in your words David. Thank you so much for sharing that, and for ending your segment, and ending this show with what I think was a bullseye description of what Thrive Financial Services is, what Thrive Financial Services stands for. For all of those in the Thrive army, and we know the Thrive army continues to grow, they’re standing right now with their hands raised, answering yes to the question, and answering yes when Bret asks the question at the next workshop. Thank you so much David Bezar. Thank you Karen for starting us off on a topic that’s going to lead to many more radio programs. Of course, Bret grinding it out with social security, getting ready for April 3rd and April 4th. That’s going to do it for Roadmap to Retirement the Radio Show. Questions, thoughts, answers? You want to connect with David, Bret or Karen, go to thrivefinancialservices.com. That’s going to do it. On behalf of David, on behalf of Karen, and on behalf of Bret Elam, I’m Joe Krause. See you next Saturday everybody.